Get to know Munich in a different way. 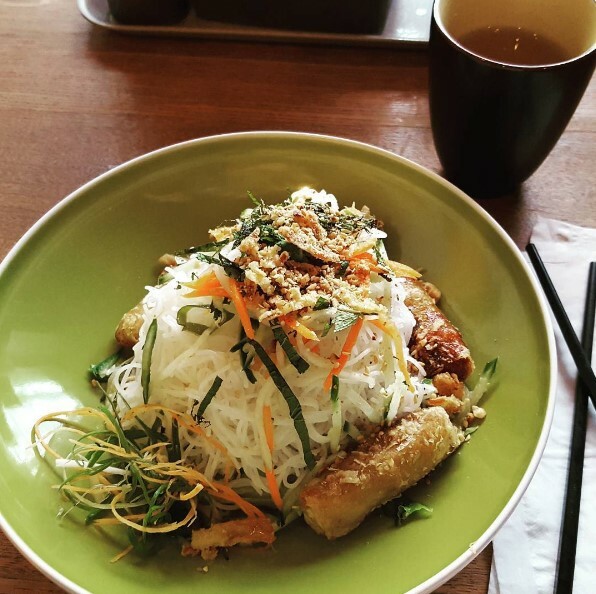 Vietnamese, Asian or a mixture of different cuisines - our Munich Food Tour shows you the best locations for delicious food in Munich. The way to a man's heart goes through his stomach - the same goes for women. Also getting to know somenone or a location is easiest through food. So why not combine both and get to know and love Munich through its unique mix of different kitchens? You're only in Munich for a short time but you want to get to know Munich like a local and not just the sights like English Garden, Frauenkirche and the Nymphenburg Palace? Preferably you would want to combine it with a good restaurant? We have the perfect solution for you: Munich Food Tour. With our experienced guide you will learn a new perspective on your kitchen of choice. Many hot spots in Munich are hidden from tourists but that changes with our tour. Typical attractions that you want to see and much more are part of the tour. Culture, Food and the life of Munich combined in one tour. And the best of all, you can decide what you want. Munich is a multicultural city and creates a culinary diversity for every food lover. Many local favourites are never visitied by tourists because they only do the typical tourist sightseeing. Your tour is different. It is individually tailored so that the content is a product of our local knowledge and your interests. Basically, various restaurants will prepare small dishes and familiarize you with the large amount of fresh ingredients, cozy seating areas and different experiences. On the way to the restaurants, you'll insights into Munich day to day life and the eye-catching surroundings. Your senses will fall in love with Munich. If you want to know more about a food tour in Munich, write us a message with the contact form or call us: 069 40586504. Danke für Deine Anfrage! Wir melden uns innerhalb eines Werktages bei Dir mit mehr Informationen.